Over the last month we have had a heap of children’s toys, a fridge, a huge pile of old papers and clothes, a car full of tyres and a snake of plastic piping dumped on our farm in north Essex. Not only is it a blot on the landscape but it’s an environmental hazard, to both people and wildlife. As it currently stands it is up to us to remove it, and we also face costs of erecting additional fences and other security measures to try and prevent it from happening again. Flytipping has become an epidemic in the countryside and is blighting landscapes all over the country, from the south east to Yorkshire, Cornwall to Cumbria and north Wales to Northumberland. 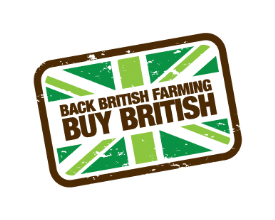 Farmers are losing patience as it cannot be fair to continue to let this happen. There are approximately 1 million cases reported each year and clean-up costs are estimated to be between £50 million and £150 million. The culprits can be criminal gangs but sometimes they are just everyday folk who are trying to avoid county council waste disposal charges. It is a small minority that is doing this, but they are having a huge impact that the rest of us have to deal with, and pay the costs. The message needs to get out there on a much broader scale that dumping waste in the countryside is illegal and morally repulsive. In my home county of Essex there have been over 120 reported cases of industrial scale fly tipping on farms since last September, but there have been many hundreds of smaller incidents; the odd bag of rubbish here and there that people choose to dump on farmland rather than go to the dump. Councils, government agents, the police and landowners need to work together to get on top of it. However, the stick method will only go so far. What is needed is a complete change in cultural thinking. We all need to talk about flytipping: around the kitchen table, in the pub, in schools, in community groups, to get the message across that it needs to stop. There needs to be a ‘social pain’ to prevent people from dumping illegally. On top of this the fines that are actually imposed on those who are caught need to be raised (rarely is it above £1000), and the word needs to get out there that the maximum fine was in fact raised in 2015 from £50,000 to ‘unlimited’ and magistrates can even impose prison sentences. I don’t think that many people are aware of this. There are some farms, especially in the Home Counties, which suffer from flytipping several times a week. In a recent issue of Farmers Weekly Fiona Hudgell wrote in to inform readers about an incident during which her husband had a heart attack and was in need of an ambulance. One end of the lane leading to their farm was completely blocked by flytipped rubbish. Fortunately there was another entrance. However, if this had not been the case, her story might have ended very differently. Flytipping is a serious problem in our society. I don’t have all of the answers, but surely talking about it more and raising people’s awareness of the potential fines if you are caught will help (we have been able to trace most of the culprits on our farm by looking through the utility bills and other documents that are left in the heap). For the sake of our countryside, let’s all work to get on top of this issue. If you are a farmer and come across an incident of flytipping contact the Environment Agency on 0800 80 70 60 or the police on 101. Ben Eagle is a guest writer for Country Squire Magazine. He generally writes about food, farming, the environment and sustainability. Elsewhere, he has written for Farmland Magazine, The Countryman and the Sustainable Food Trust. His website www.thinkingcountry.com is a finalist in the 2017 UK Blog Awards. You can follow him on twitter @benjy_eagle or join the thinkingcountry facebook page. If the culprits can be identified would it be possible to sue them for the cost of removal and disposal of the rubbish, through the small claims court ?